As Organizational Coordinator/Executive Director, Alexis leads the integration of our political strategy, programs, fundraising, and local chapter organizing. She first traveled to El Salvador as a college student on a medical delegation, where she was inspired by the labor movement’s successful organizing to defeat health care privatization. In 2004, while working as a case manager, she started volunteering with CISPES in order to join the fight against the Central America Free Trade Agreement (CAFTA) and has since played many roles, from fundraiser to local organizer to National Office staff. She lives in Washington, DC, where she attends All Souls Unitarian church, visits the public libraries, pools and parks as often as possible, and appreciates the growing number of bike lanes criss-crossing the city. As Program Coordinator/Program Director, Samantha is tasked with guaranteeing regular updates and analysis from El Salvador to all levels of the organization in order to determine the organizations overall political strategy and program. Part of the Salvadoran diaspora, she grew up in Los Angeles and graduated from the University of California-Santa Cruz in Feminist Studies and Latin American and Latino Studies. She first became involved with CISPES as a student organizer in Santa Cruz and in 2014 interned with CISPES in San Salvador. In 2016 she relocated to San Salvador where she spent two years coordinating CISPES’ program and accompanying social movement partners in the youth, feminist, syndicalist and agricultural movements. As Program Coordinator she will continue learning from our Salvadoran allies, and the historic U.S. Central America solidarity movements to redefine the role Central Americans in the diaspora will have in an internationalist movement in solidarity with migrants and the people of Central America. In her free time Sam likes to listen to new music, learn about Central American activism and feminism. As Individual Gifts Coordinator Peggy leads the team of fundraisers who do outreach to all of the donors that support CISPES's work. Peggy's solidarity with El Salvador is long and deep. Since 2003, she has coordinated delegations to El Salvador through the Washington Ethical Society (WES). Over the years, she has had the opportunity to learn about the Salvadoran struggle for participatory democracy directly from the men and women in the WES “sister community” who fought for it. Their testimony is as inspiring as it is heartbreaking; it is what motivates her to continue to do this work. In addition to a passion for social justice, she enjoys cooking and being outside to camp, hike, paddle and garden. As East Coast Regional Organizer, Yesenia supports the growth and development of CISPES’ work in the East Coast by providing materials, trainings and guidance to the volunteers who carry out CISPES’ work at the chapter level and supports development of political strategy and campaigns as a member of the national program team. Yesenia, part of the Salvadoran diaspora, first became involved with CISPES in 2010, during her last quarter as an undergraduate student at the University of California, San Diego, when she participated in CISPES’ first Radical Roots delegation – a delegation that was a part of CISPES’ campaign to accompany the anti-mining struggle in El Salvador. In 2016, while working fulltime in Los Angeles, Yesenia reconnected with CISPES and volunteered to help reestablish a CISPES chapter there. Since then she has had the opportunity to travel to El Salvador and to reconnect with her family’s homeland as a coordinator for CISPES 2018 Elections Accompaniment Delegation and their third Radical Roots delegation that same year. Yesenia moved from Southern California to Washington, DC to work with CISPES later in 2018. Outside of CISPES, she enjoys artsy things like live music, film, going to museums, etc. Mattie Conway- West Coast Organizer As West Coast Organizer, Mattie supports chapters by providing materials, trainings and guidance to the volunteers who carry out CISPES’ work at the chapter level and keeps in touch with CISPES’ supporters and donors in California. Mattie first got involved in 2012 when she participated in CISPES’ first Literacy Brigade while a student at UC Santa Cruz and returned to become a student leader in the Santa Cruz chapter. While in Santa Cruz, she participated in campaigns to stop US pressure to privatize El Salvador’s public utilities and services and stop U.S. intervention in Salvadoran elections. 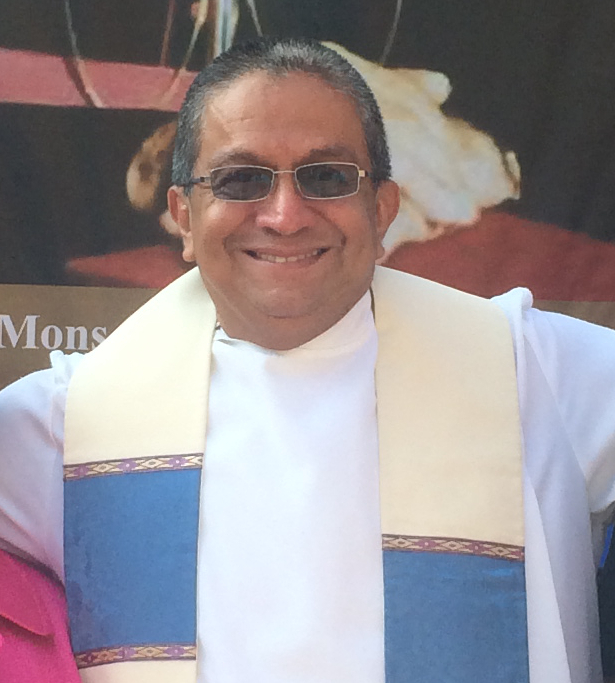 In 2016, Mattie moved to Los Angeles to begin the rebuilding of the CISPES chapter there and then moved on to become the West Coast Organizer. Outside of CISPES, she enjoys painting her nails, making up recipes and going to parks. As the Administrative Coordinator, Sam oversees the finances and operations of the national office. Sam has been working in CISPES administration since the spring of 2017. He took on a greater role at CISPES in the fall of 2018. Sam came to DC from Tennessee to attend George Washington University where he studied the history of twentieth century social movements in America. Sam got his start in activism by helping to organize students at GW against the closing of the university’s dining hall and the forced lay-offs of a dozen dining workers. When not at CISPES, Sam enjoys biking, reading, and taking part in DC’s bluegrass music scene. As the East Coast Development Coordinator, David works with our fundraising team and is responsible for outreach to our donors in the northeast. He got his start in solidarity with the people of El Salvador as a Sister City activist during the country’s Civil War. David then got involved with CISPES and worked as the Boston chapter’s local organizer in the mid-90s. After the neoliberal destruction of university education made his original career goal of becoming a history professor impossible, David chose to get his revenge by helping to build the internationalism necessary to bring down the US Empire. A proud father of three and grandfather of four, he enjoys playing and watching basketball, mountain climbing and listening to rock and roll. As the Mid-West Development Coordinator, Ayla is part of our fundraising team and is responsible for outreach to our donors in the mid-west and with our monthly sustainers. She got involved in the solidarity movement in Western Massachusetts and solidified her anti-imperialist conviction while living in Guatemala over a period of years. She moved to DC to work in the labor movement and first joined CISPES through the DC chapter and as a part-time phone banker in 2012. She continues in a fundraising role, excited to work toward re-building the power of the Central American Solidarity movement. Outside of CISPES she works with the Guatemala Human Rights Commission, bikes everywhere, coaches plant-life out of pots and gardens and treats social dancing as a sport.